The closing event of the BA/Leverhulme project on European Cinema Audiences was be hosted in collaboration with the International Film Festival in Ghent in order to disseminate the project to the general public. 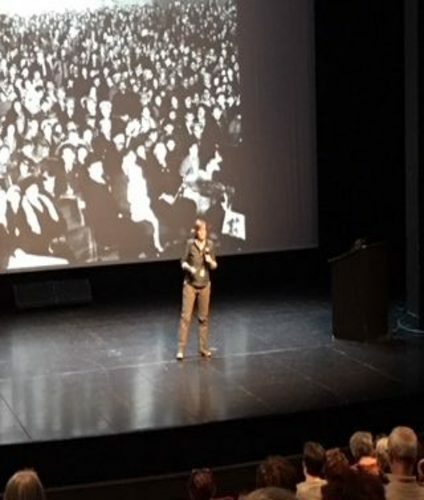 The event, called ‘Gent Kinemastad’ was organized in the prestigious Vooruit cultural center and included an introduction by the artistic director of the film festival Patrick Duynslaeghers, a participatory lecture by researcher Lies Van de Vijver and the screening of one of the most popular film characters of the 1950s; ‘Il compagno Don Camillo’ (dir. Luigi Comencini). The event was accompanied by an illustrated map of the cinemas in the city centre. This day was preceded by a workshop with international scholars to present and evaluate the methodologies and results.